Ella Patterson Venable was my great grandmother. She grew up on a farm in rural St. Clair county. My grandmother also grew up in rural St. Clair county in what is now the Argo community. 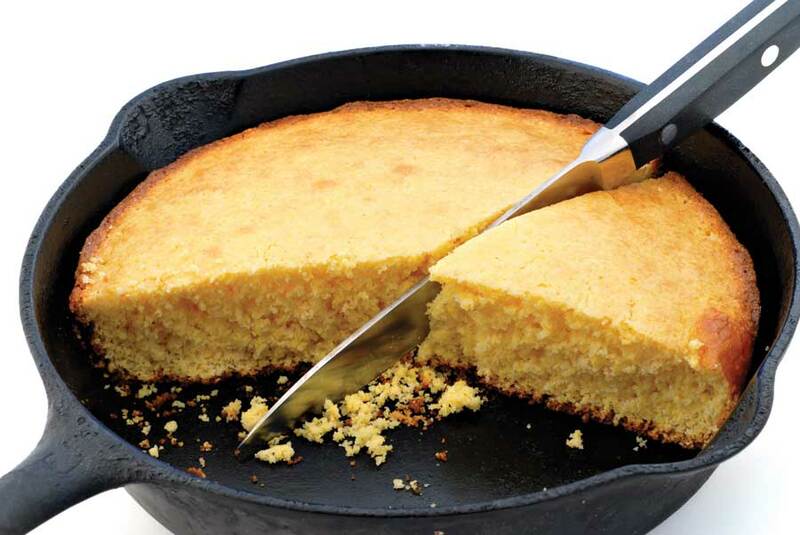 This cornbread recipe has been handed down for several generations, along with the iron skillet I use to prepare it; a wedding gift to Ella & Webster Venable from Ella’s mother. Add oil to a well-seasoned iron skillet (a metal baking pan will do, but you don’t get the dark, fried crust) and place in a cold oven. Preheat oven to 400F with the pan in the oven. In a mixing bowl, combine the 2 cups meal, flour, soda (if needed), egg and buttermilk. The buttermilk measurement is an approximate; you want to add enough buttermilk to make the mixture resemble thick pancake batter. It should be pourable but not runny. When the oven has preheated, remove the pan from the oven and pour the oil into the batter. Stir well to incorporate. Dust the pan with the 1 remaining tablespoon of cornmeal, then pour in the batter. You should hear the batter sizzle as it hits the hot pan. Bake for 20-30 minutes, or until top is golden brown. Invert on to a plate and enjoy with a pat of butter and slice of onion! This entry was posted in Bread and tagged corn bread, cornbread, country cornbread recipe by quarlj01. Bookmark the permalink.